On Feb. 7, freshmen and seniors will have an opportunity to shape the future of the student experience at The University of Alabama by making their voices heard in a national survey. On that date, UA freshmen and seniors will receive a link to a National Survey of Student Engagement (NSSE) survey that will ask them questions about their participation in University-offered student activities, their classes and other questions related to learning and personal development. The results of the survey will be used to determine how students use their time and what they gain from attending UA so that administrators know what areas of student life are working well and what needs improvement. 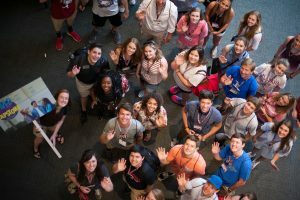 “With almost 40,000 students at UA, it may be easy to feel as if you are one amongst a sea of faces,” said Dr. Heather Pleasants, associate director of the Office of Institutional Effectiveness. “This is an opportunity for you as a student to make your voice heard, for you to share your experience in a way that leaves an impact that will be felt by all the students who come behind you. Nearly 500 U.S. colleges and universities are participating in the 2019 NSSE. The last time UA participated in it was in 2013. Pleasants said the data gathered from that survey was used to create the quality enhancement plan that later became Learning in Action/Twitter. “The eventual outcome of the project is to impact students’ problem-solving and to integrate their learning in the classrooms with their real lives, whether it’s personal or professional,” Pleasants said. In addition to the standard survey questions asked in the NSSE, UA has added additional questions concerning global learning, inclusiveness and engagement with cultural diversity. The survey will be open until May 15, but students are encouraged to take it when they receive the first of five emails prompting them to participate on Feb. 7.